The Food Alphabet and More: Celebrating 10 years of KopiRoti! P10.00 Kopi Buns for everyone! Celebrating 10 years of KopiRoti! P10.00 Kopi Buns for everyone! We are celebrating KopiRoti's 10th year this August and we are celebrating it for one whole month! Yes, that means a month long celebration with our Kopi Bun lovers! Mark your calendars! Take note every Monday of August 2015 from 10am-2pm, customers who buy a Kopi Bun can buy a second one for only P10! Do you want to know a secret? You may avail of this promo from 10am-2pm any other day for the whole month of August as long as you greet our cashier with the secret phrase, “Happy 10th Birthday Kopi Roti!”. Can’t get enough of our Kopi Buns. 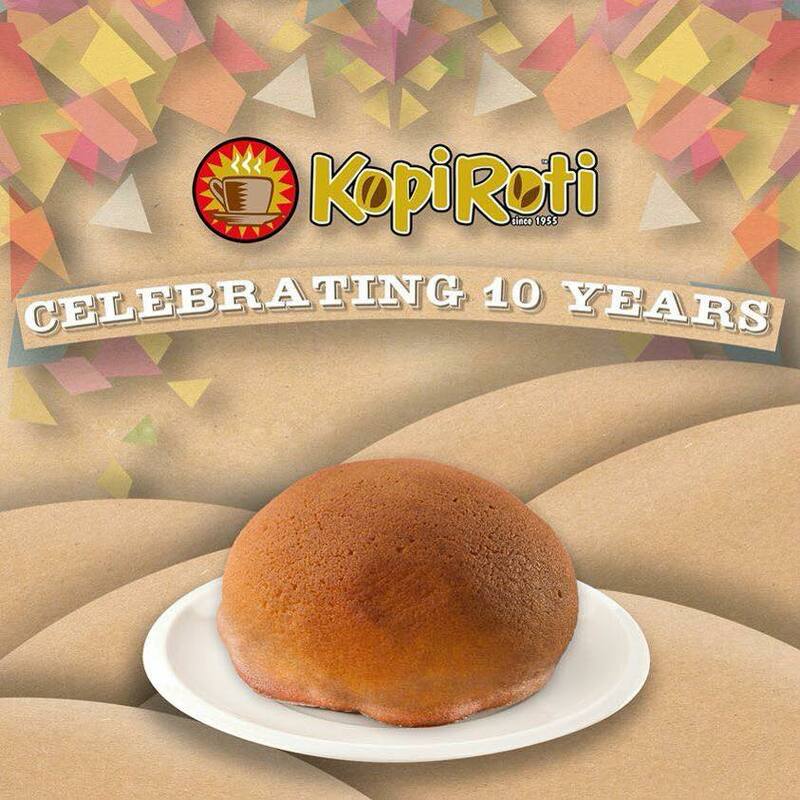 That’s why we are giving away 1-year supply of Kopi Buns to 1 lucky Kopi Roti Fan! All you have to do is post a creative selfie of you and a Kopi Bun with the hashtag #KopiRotiAt10 to celebrate our 10th birthday. The best post by the end of August will win 1 year supply of Kopi Buns. ·Post a creative selfie with a Kopi Bun and your birthday greeting for Kopi Roti. ·Promo duration is from August 4-31, 2015. ·(1) Winner will be announced on September 4, 2015 via Kopi Roti’s Instagram and Facebook account. Winner must send his/her contact details to Kopi Roti’s official FB page within 7 days. ·Winner may redeem his/her prize in the following branches only. ·All expense due from claiming of the buns should be shouldered by the winner.